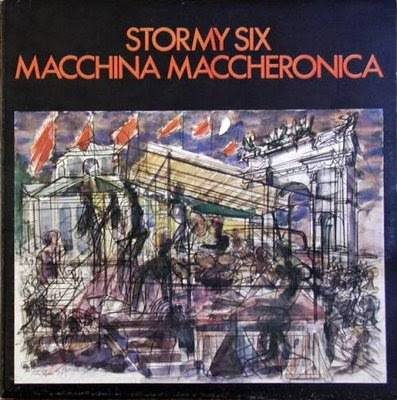 Another band coming from a 60's long career, The Showmen from Naples had some hits in 1968 and 1969 with their original blend of soul, rhythm & blues and italian pop, releasing only an LP and a bunch of singles on RCA. The band had been formed by bassist/singer Mario Musella and sax player James Senese in 1966, and their first single came in 1968. They had a great hit with Un'ora sola ti vorrei, that won the 1968 Cantagiro. 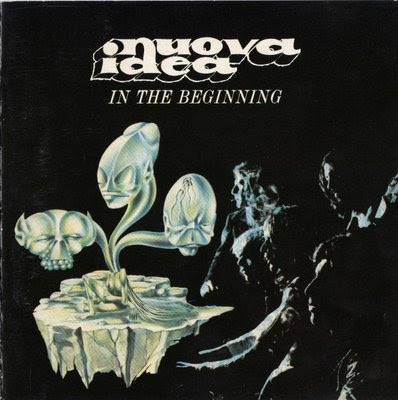 The original group split at the turn of the 70's, with Musella embarking in an unsuccessful solo career (he sadly died in 1979), and Elio D'Anna going to form Osanna. 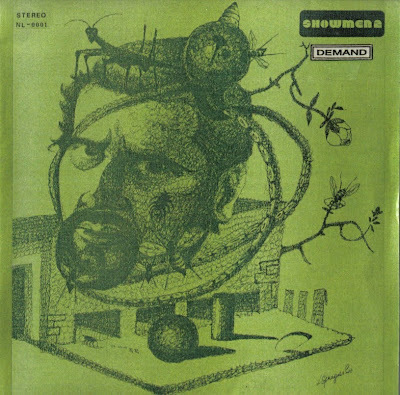 After a short time Senese and Del Prete, aided by the guitarist Botta (now on bass), reformed the group with a new line-up, and more influenced by the current italian rock tendences released a single and an album simply called Showmen 2 (it's not clear whether Showmen 2 is the album title or the name of the band, but the liner notes refer to the group as simply Showmen) on the small local label B.B.B. with little promotion. A Peruvian garage-punk combo. Originally known as Los Sadicos (The Sadistics) they were forced to change their name to get a recording contract! They cut six singles in all between 1964-67 and two of these - Come On and Demolicion recently resurfaced on Sons Of YMA. Both are pretty raw and good. 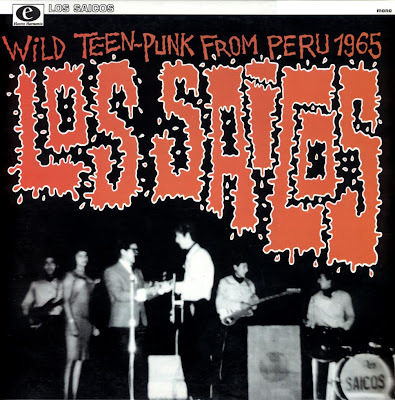 Even better however, is a 10" vinyl retrospective, Los Saicos - Wild Teen-Punk From Peru 1965 (Electro Harmonix REF 05 1999) 1999, which compiles all their singles. Drummer Bob Bryden and singer Lynda Squires were members of The Christopher Columbus Discovery of New Lands Band in Oshawa, Ontario during 1967. 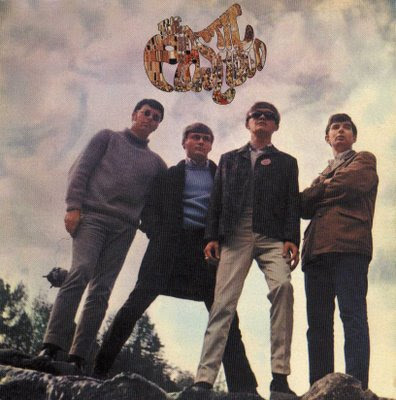 As is the fate with most bands, the unit split up in 1968. Columbus' direct competition in town was an act called Reign Ghost and with an eye to find something new to do, Bryden and Squires infiltrated the rival band as guitarist and singer respectively. Soon the bassist left and Bryden snuck in former Columbus bassist Joe Gallant. Following the usual 'creative differences' excuse, Gallant quit and then came Columbus' Jerry Dufek. This line-up hooked up with Jack Boswell's Allied Records who threw them into a recording studio for the self-titled 'Reign Ghost' album in late 1968. The album was released in January 1969. However, the band fraught with internal conflicts once more and destroyed the band. Bryden and Squires moved on once again and hooked up with drummer Rich Richter and bassist Russ Erman who reclaimed the name Reign Ghost with the new comrades more than willing to become the New Reign Ghost. Allied was happy to have their name band back and offered to release the follow-up album 'Reign Ghost Featuring Lynda Squires', but before the album could be released, the band split up again. 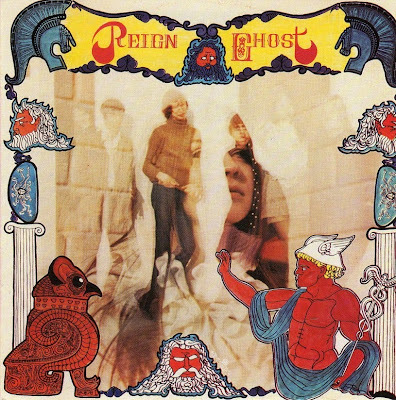 Bryden went on to join Christmas (aka Spirit of Christmas) and their first album, coincidentally was released by Paragon in July 1970 on the exact same day as they decided to release the 2nd Reign Ghost album. Lynda Squires went on to join the Canadian cast of 'Hair' and married Francis W. Davies (president of Daffodil Records and The Music Publisher). 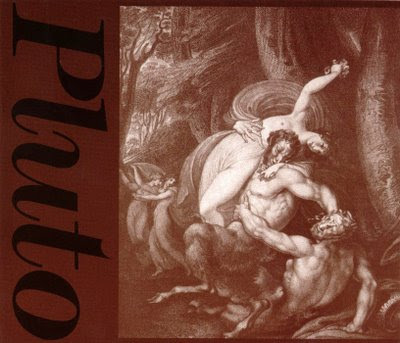 In early 1991, Ken Golden of Laser's Edge in New Jersey decided to re-issue the two albums on one CD to rescue these two obscure, and collectible, albums from oblivion. Reale Accademia di Musica derived from a very popular band from Rome, I Fholks, that in their four-year career also supported Jimi Hendrix, but just managed to release a single. 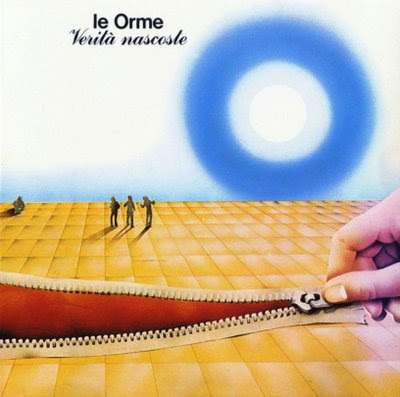 The good single included a reworking of an Iron Butterfly song, Soldier in our town, translated as Mi scorri nelle vene, and was produced by Equipe 84 leader Maurizio Vandelli, that brought the group to the Ricordi label. 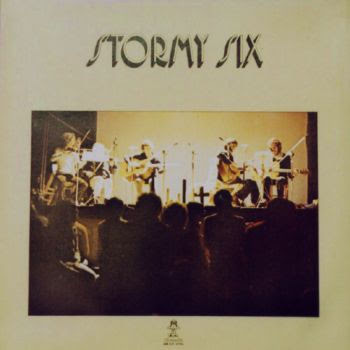 The group played in many important festivals of the early 70's, like Caracalla and Gualdo in 1970 and the Viareggio Pop Festival in 1971, but split during the recording sessions for their first english-sung album. 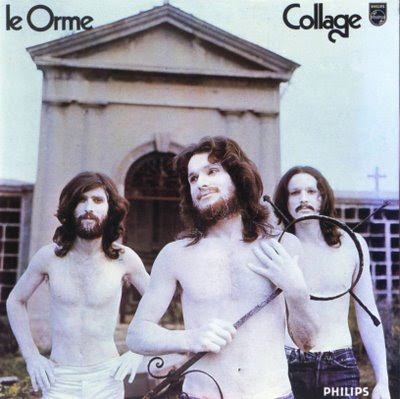 While drummer Ruggero Stefani (previously he had been the only man in the all-girl beat group Le Pupille) went with L'Uovo di Colombo, the others formed Reale Accademia di Musica, but guitarist Pericle Sponzilli abandoned during their LP recordings, being replaced by Nicola Agrimi (from Le Esperienze and early Banco del Mutuo Soccorso). 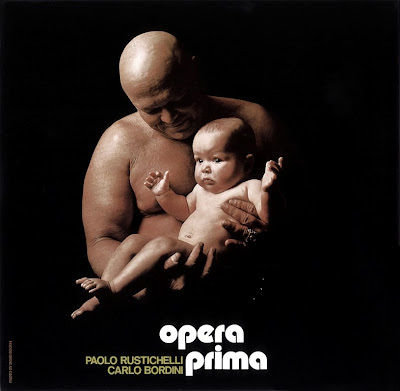 Produced again by Maurizio Vandelli, Reale Accademia di Musica is a good work, though not particularly original, dominated by the keyboards of Federico Troiani and with good vocal parts by the spanish singer Topel. 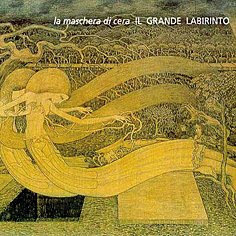 The long Il mattino and Vertigine are the best cuts of a nice album. 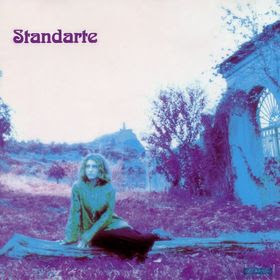 After the album the band changed line-up and worked with singer songwriter Adriano Monteduro, and in 1974 his first album was co-credited to Reale Accademia di Musica. 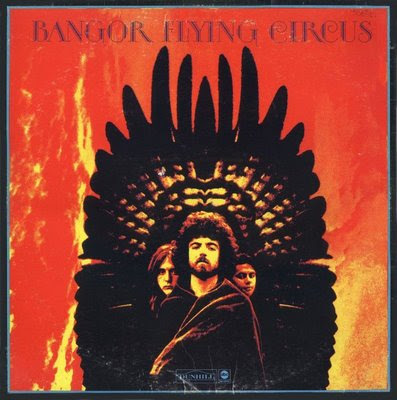 This is by no means, as many say, the group's second album, as they were just working as the backing band to Adriano's songs, and it's a beautiful album of songs with soft rock arrangements, not a prog album at all! 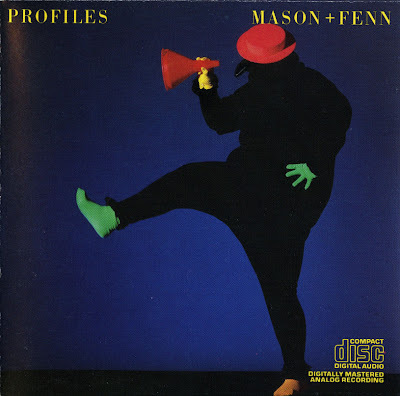 Historical note: first time since years and last time ever PF performed the same night with their friends of Soft Machine (apart from Nick Mason who occasionally drumed for Wyatt in solo and Wyatt singing on Mason's Fictitious Sports). This is the second show (9pm) of that evening. 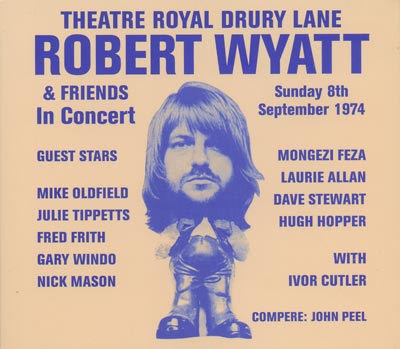 The title comes of course from the fact this was a concert in benefit for former Soft Machine frontman Robert Wyatt who had broke his spine recently (he fell from a 3rd floor window during a party). 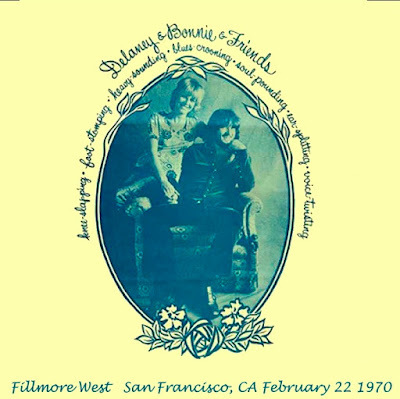 Very last concert of that 1973 year for PF, before their 74 French tour. Last time a tune from the soundtrack of La Vallée was played. OBC here runs veeeeery slow, but it is not the tape, they played it like that! Really worth to get for OBC/When you're in, since those are the best versions in terms of SQ and probably performance too. 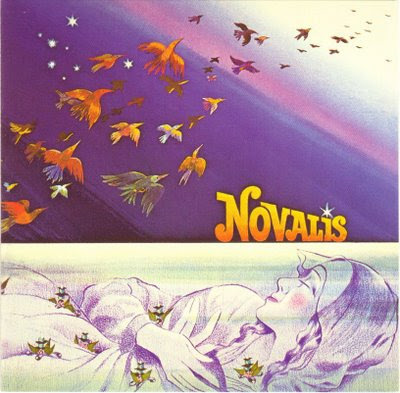 An important and long lasting German exponent of 'romantic rock' (in their own words) Novalis was formed in Autumn 1971. Hartwig Biereichel had previously played in a blues-rock outfit named Greenlight (releasing four tracks on the 1970 festival sampler Love & Peace). 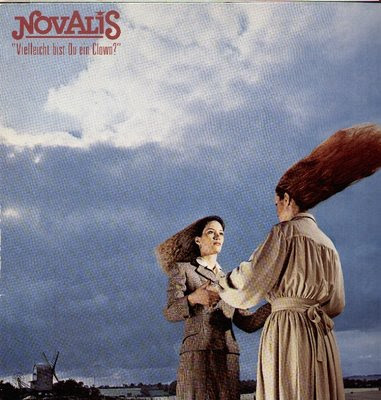 In 1972, Novalis gave their first concert in their hometown Hamburg as the warm-up act to Cravinkel at "The Fabrik". 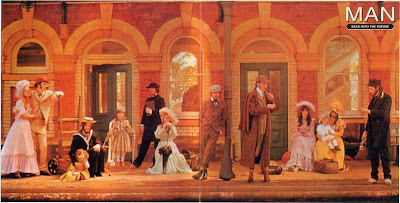 Banished Bridge (recorded in January 1973 at Windrose Studios, produced by Jochen Petersen) was one of the first examples of synthesised German symphonic-rock. 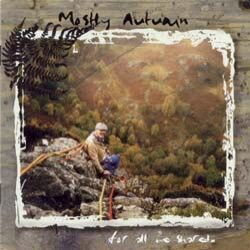 A very good album with a lyrical and melancholic atmosphere. The 17 minute long title track stands out as something very special - a very careful and understated composition with long 'ambient' passages full of bird whistles. Perhaps a good comparison would he P.F.M. 's first two Italian albums, and the vocal work is comparable to the first Jane album. However, vocalist Wenzel left the band after some arguments in 1974. Detlef Job and Carlo Karges were added, expanding the group to a quintet. Karges had previously been a member of Tomorrow's Gift. With completely different vocals (by Heine Schunzel), German lyrics and the added guitars, their self-titled second album (recorded February 1975 in Studio Maschen) understandably sounded very different from the first. 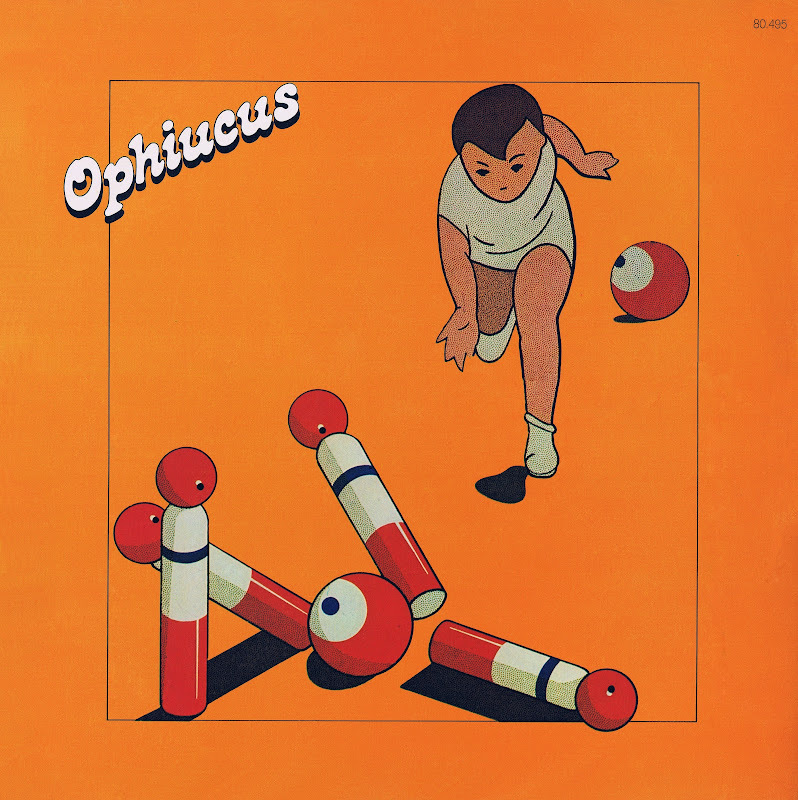 It was produced by Achim Reichel (who also produced all their forthcoming Brain albums) and comprised five songs of fine keyboard-based, folk-inspired rock, written by Rahn and Karges. Best were "Impressionen", based on Brucker's 5th symphony, and "Es Farbte Sich Die Wiese Grun", a symphonic folk song with adapted lyrics courtesy of the German romantic poet Novalis (Friedrich Freiherr von Hardenberg), written in 1798. Comparisons can be made with Holderlin's Spiegelei albums. 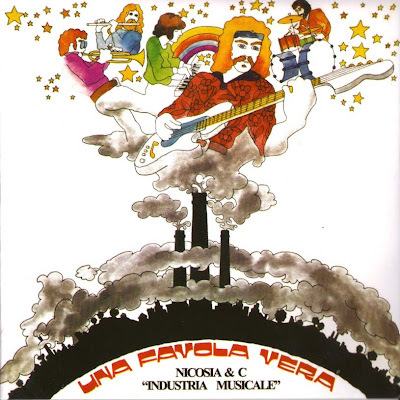 Carlo Karges abandoned such music when he quit to join the new wave act Nena. Novalis recorded Sommerabend as a quartet in February 1976. This was an even better work, combining and developing elements from their previous albums to a neat perfect, personal symphonic rock. The title track must rank as their most outstanding achievement ever: a lush and romantic opus with acoustic guitars, string synthesizers, choir, thoughtful lyrics (in German) and nature's sounds of a summer afternoon. Just beautiful! In June 1976 the Austrian Fred Muhlbock was engaged as Novalis' new fifth member. 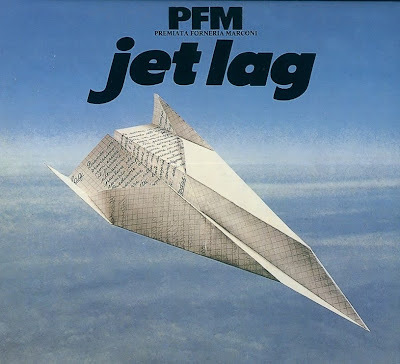 Much has been written and said in Italy about Premiata Forneria Marconi, and they have surely been the most popular band here for many years. No one who was in his teens in Italy during the 70's, doesn't know È festa or Impressioni di settembre. They were also the first (and last, probably) italian band to have some success abroad, playing some good european and american tours, and even playing the popular Reading festival in England. 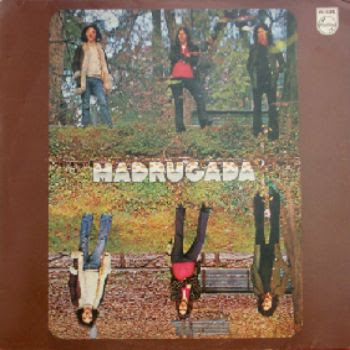 The band was formed in Milan around 1970 when the ex-Quelli (a popular beat band during the 60's) Mussida, Premoli, Piazza and Di Cioccio met multiinstrumentalist Mauro Pagani from Dalton. The four Quelli had a change in their musical style near the end of the 60's and even made a single as I Krel, before the new name was adopted. 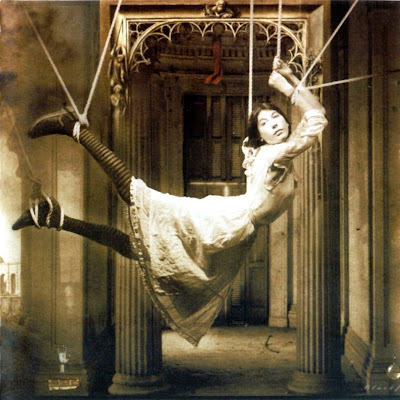 PORCUPINE TREE are incredibly hard to describe because their music doesn't fit into any one genre. I like the description on the back of the album "Signify" (one of my all time favorites). 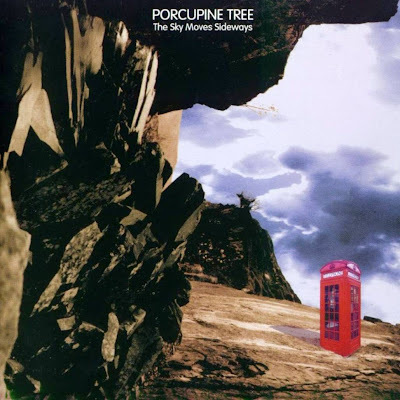 It says "Porcupine Tree have managed to defy genres and blend together numerous ambient, rock and avant-garde styles to create a musical landscape that is both refreshing and compulsively seductive". The great post-GONG revival which gave birth to OZRIC TENTACLES now brings us PORCUPINE TREE. 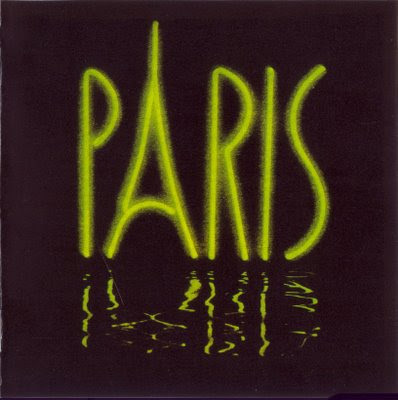 The hypnotic rhythms, spacy synthesizers, glissando guitar and crazy voices which made the style successful are all contained here. The band started as a solo project of singer-songwriter-guitarist Steve Wilson who, back in the early nineties, released a series of increasingly spaced-out ambient excursions. PT is one of the most innovative bands in prog today combining intense musicianship, unconventional composition and superb studio production. They are unquestionably one of the UK's most inspired and inventive rock groups. 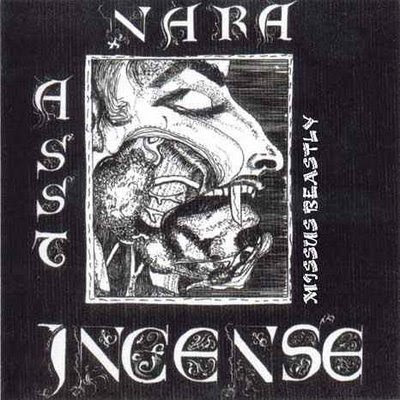 NB: Reissued on CD as Cyborg Assassin (Kissing Spell KSCD 9409) 1994 with three additional tracks taken from a live cassette circa 1975. A rare privately-pressed album by a Liverpool heavy rock band. The spelling of the title is theirs. 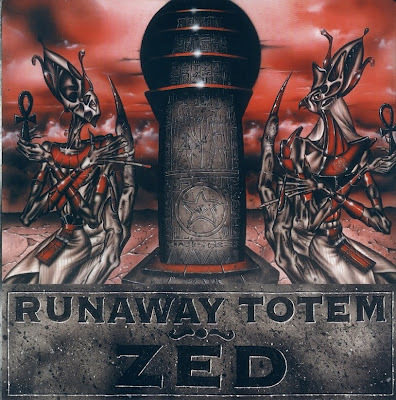 Musically, this is a sonic assault with pounding drums and bass and frenzied keyboards. Powerful stuff indeed. 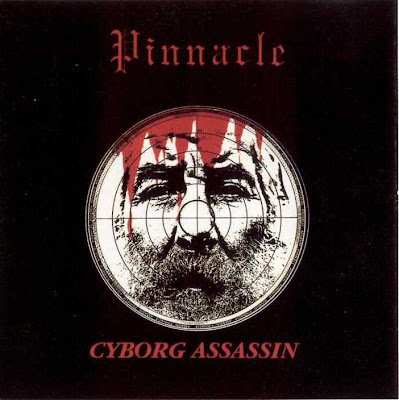 A sort of prototype heavy metal album that was originally only available as a demo. Clearly of interest to heavy rock/metal fans. oe: in early Sabbath vein, recommended. Sadly very low "tape" quality. 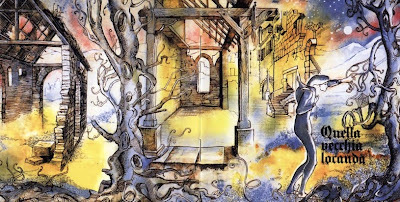 PICCHIO DAL POZZO are considered to be one of the very few "Canterbury" inspired bands that emerged from Italy's fertile 1970's progressive rock musical scene. 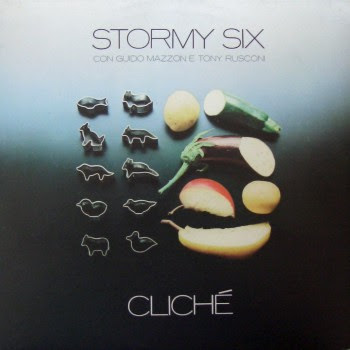 The sextet known as "Picchio dal Pozzo" surges forth via romantically melodic overtones, swiftly implemented time signatures and jazzy interplay in concert with the proverbial peaks, valleys, knotty twists and circuitous turns. 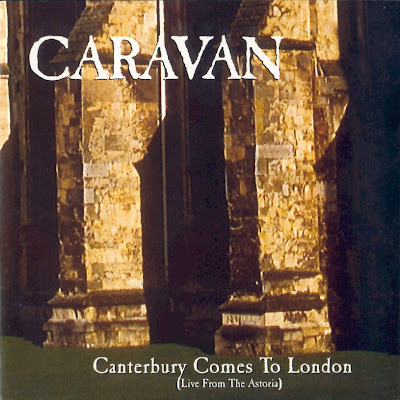 "Camere Zimmer Rooms" is a must for all those enamoured of both Italian prog as well as the Canterbury music scene. Essential for their fans, as well as fans of groups like CARAVAN, HATFIELD & The NORTH, HENRY COW, SOFT MACHINE & FRANK ZAPPA. An inter-racial Californian soul rock band formed in 1968. They were known initially as Bluesberry Jam, who included drummer Fito De La Barreda before he was recruited by Canned Heat to replace Frank Cook. 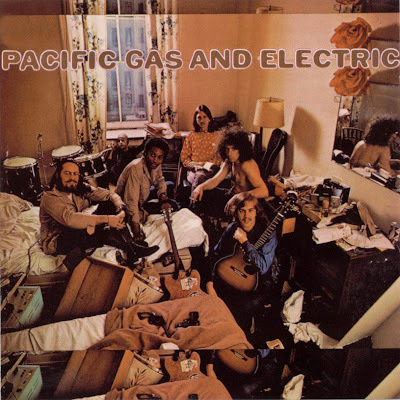 Frank subsequently joined Bluesberry Jam, and together with Charlie Allen formed Pacific Gas and Electric. They are best remembered for their hit Are You Ready and will interest fans of the Chambers Brothers or Sly and The Family Stone. 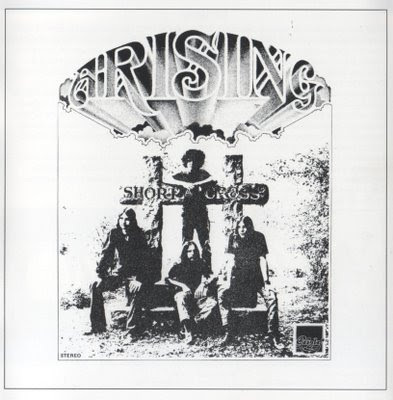 Their sound was characterized by the powerful voice of Charlie Allen and the good guitar leads of Glenn Schwartz (later in All Saved Freak Band). 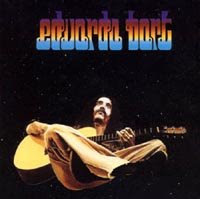 Eduardo Bort's self-titled album from 1975 contains four long tracks of spacey, melodic progressive rock with several longer acoustic/folky passages as well. The first track "Thoughts" reminds me a bit of the 70's Italian bands (especially the better parts on the Uno album). "Pictures of Sadness" has some great mellotron and excellent spacey guitar playing. Bort' s guitar playing reminds me both of Jimi Hendrix and Steve Hillage. By far the weakest point are the vocals. The flat, heavily accented singing is rather poor, but it doesn't spoil the album for me. 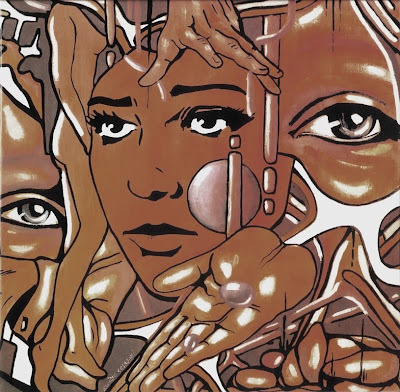 The last, 12-minute track "Yann" starts with incredible mellotron/guitar/mini-moog interplay. This section could have been culled from Steve Hillage's masterpiece Fish rising. Superb. 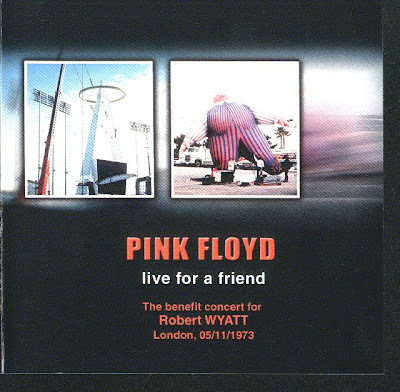 After about four minutes, part two of the track starts in a more acoustic setting, unfortunately with the worst of the vocal contributions. About two minutes later an instrumental section follows with nice guitar strumming and soloing by Bort. At about nine minutes, the mellotron re-enters with a romantic symphonic theme (and variations) until the track ends. Not a flawless album, but despite the weak vocals an enjoyable piece of work with occasionally some outstanding passages. Dzyan recorded a unique kind of electric ethnic jazz-rock. The band look their name from the Indian book of creation. They formed in January 1972 as a quintet. After just two months the self-titled debut album was recorded, and then released on the minor Aronda label in April 1972. This first line-up of the band was just a studio project and promptly disintegrated. Lothar Scharf played drums in a revamped Dzyan's first live gigs, before he joined Virgo. In November 1972 Dzyan were reduced to a trio. In Studio Dierks, Stommeln, they recorded Time Machine, produced by Peter Hauke and released on Bacillus in November 1973. 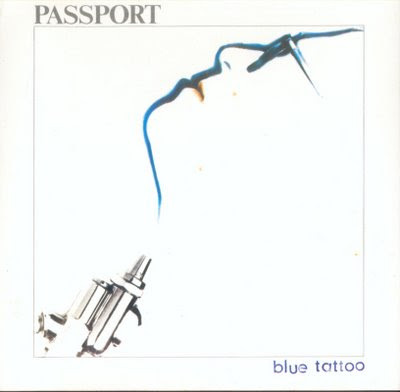 This was an excellent jazz-rock album consisting of four tracks. "Kabisrain" was an Eastern-oriented, ethnic number featuring saz, quite similar to Embryo. 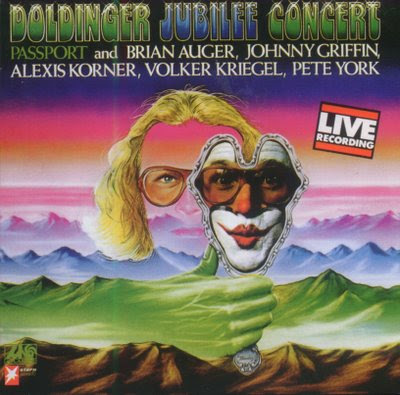 The other three tracks were electro acoustic, inspired by King Crimson and perhaps jazz records released on the ECM label. The strongest cut on the album was the 18 minute long title track. 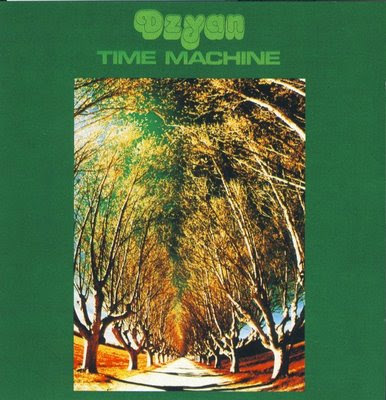 Dzyan's second album for Bacillus (also recorded by the Hauke & Dierks team) was recorded in October 1974. It had a similar style to their first, but was a bit more acoustic and Indian-flavoured. Late in 1974 Reinhard Karwatky, the last remaining original member, decided to leave the group. This concluded the story of Dzyan. Along with Embryo, Between and Agitation Free they were pioneers of the world music. 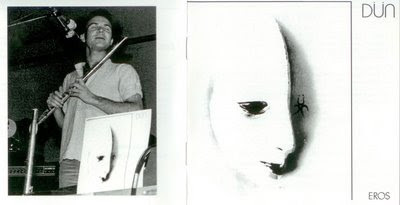 Giger and Marron eventual recruited Gunter Lenz In 1976 and recorded one further album as Giger, Lenz & Marron (Niagara MIX 1011-N). A Brazilian band, based in São Paulo. 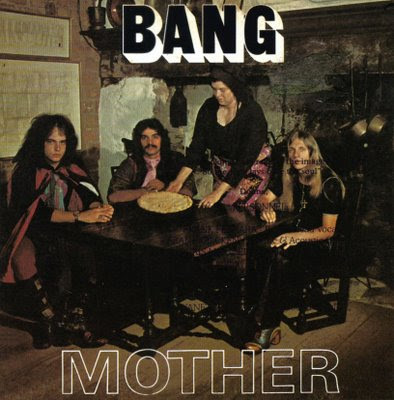 Their two first albums are reputedly hard rockin', with fuzz guitar leads and progressive leanings, while their next two are softer, melodic, progressive rock with classical influences. Ponto Final and Criatures De Noite fromCriatures Da Noite, like Flor De La Noche and Cabole from Casa Encantada are representative samples of the later genre. 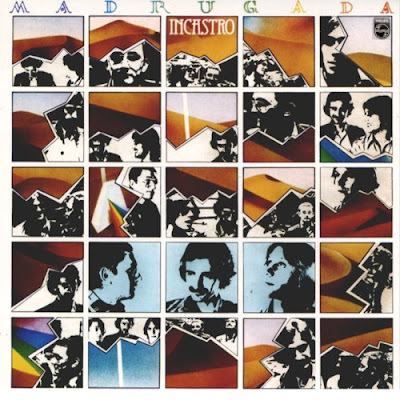 On the Criatures De Noite album, there is jangling guitar and harmony vocals Queimade and Santana - orientated guitar leads (Pano De Fundo), but the highlight is the long (12.27) track 1974, basically instrumental with wordless vocals and symphonic touches, which becomes a little bit spacey in the second section. Oddly uneven, semi-psychedelic effort by this late-blooming '60s "beat" outfit... Many of these songs start out with muscular performances -- a Meters-y soul riff here, a cool acid-rock riff there -- but the band doesn't seem to be able to sustain the hard edge, inevitably slipping into softer pop mannerisms. They obviously can play the hard stuff (and have heard a lot of it) but seem restrained somehow, most likely by some studio producers hired by the label. This is okay; it's certainly a notch or two above most of their jovem guarda contemporaries... Mostly, though, this album works only as kitsch, and probably won't feel that satisfying to fans of real garage pop. 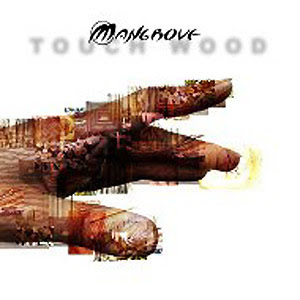 A bit stronger than their previous album, or at least a little more cohesive. The individual songs don't shift around so much between different stylistic tones -- the soft pop leanings are still there, but when they set out on a psychedelic or soul tangent, they keep it up for most of the song... Highlights include the opening song, "Adeus Amigo Vagabundo (Tributo A Jimi Hendrix)," which ends with a predictably "crazy" hard rock flourish. 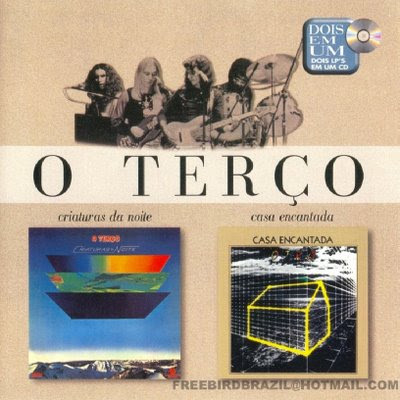 Low points include an only-adequate English-language cover of the Moody Blues hit, "Question" (which might have been more fun if they'd sung it in Portuguese...) An interesting album, worth checking out, although it probably won't drive most folks wild. With the inevitable disintegration of Black Sabbath in the late 70's Ozzy had motivated himself to set about creating a fresh band. Ozzy's personal assistant at the time was Dave Tangye ('Tang') who also happened to manage Cumbrian heavy rock band Necromandus. 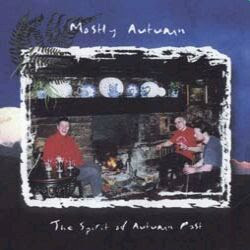 Created under the original name of Hot Spring Water the quartet comprised vocalist Bill Branch, guitarist Barry Dunnery, bass player Dennis McCarten and drummer Frank Hall. 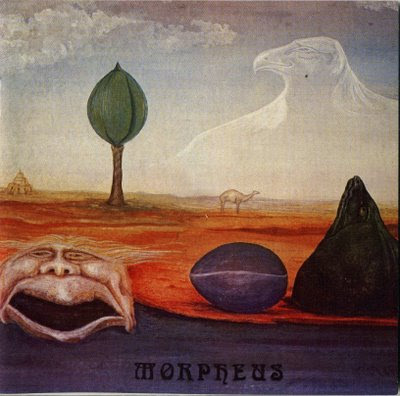 A name change to Heavy Hand led eventually to Necromandus, a fusing of the words 'Nostradamus' and 'Necromancy'. Frank Hall's first memories of Ozzy Osbourne date as far back as 1969. Black Sabbath would often play the gig circuit around the Lake District and it would be at one of the bands very first gigs that Ozzy came to the fore. "I first clapped eyes on Ozzy at the Towbar club in Nethertown in Cumbria," the drummer recalls. His memories of a pre-stardom Ozzy are in stark contrast to the onstage persona that would come to be known by millions. "I remember talking to Bill Ward who told me 'He's not long been out of prison' to which I replied; 'Better to break into music than houses I suppose!' Ozzy was a dramatic figure- he was really like a wild man. Onstage he used to whip his head up and down really, really fast and put his finger in his ear while he sang! I noticed he soon stopped doing that! The thing was though is that he was in fact a really friendly bloke, actually quite shy and nervous". 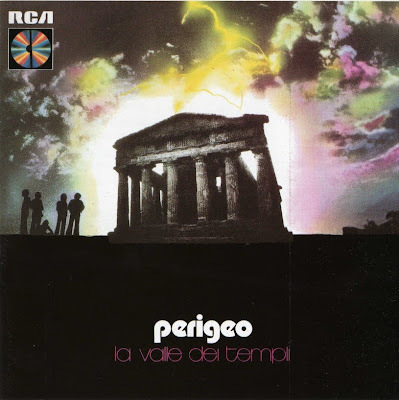 This band from Bergamo was formed around 1970, and had a long life that lasted until 1978. Their name means dawn in spanish. 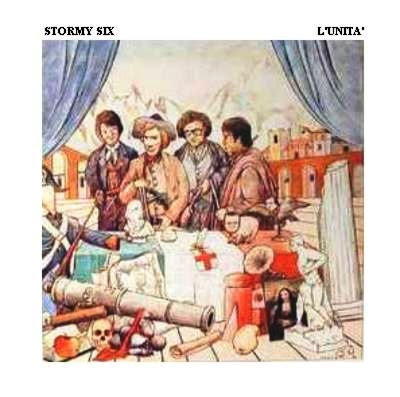 The group derived from some 60's beat bands like I Condor, that included bass player Alessandro Zanelli and keyboardist Franco Orlandini (from Mat 65 and who later worked with Equipe 84 and Claudio Rocchi), and later changed name to Le Lunghe Storie. Though not properly a progressive rock album, their first one, only released in 1974 by Philips, contains some interesting parts. 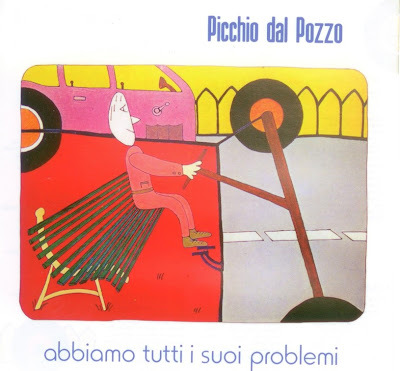 It contains seven tracks, some of which written by Roberto Vecchioni (a singer-songwriter that's still very popular nowadays) and Mauro Paoluzzi. The first side shows some influences by a West Coast styled sound, with multivocal parts very well executed but not particularly original. 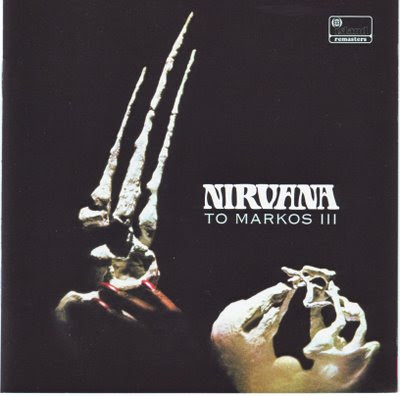 Second side contains the long Mandrax, led by Gianfranco Pinto's keyboards, that's probably the best album track. Except for a limited use of acoustic guitar on Uomo blu the band didn't use guitars and their sound was strongly based on keyboards and richly arranged vocal parts. 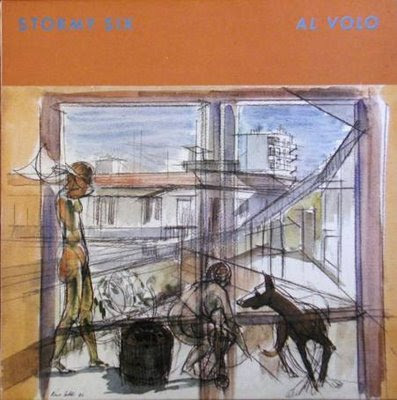 Second album came three years later, this time the trio was helped by some guest musicians like Lucio Fabbri on violin (Piazza delle Erbe and later PFM) and Luciano Ninzatti on guitar (from Eugenio Finardi's band Crisalide). With a much better production and sound, this can be considered the best of their two albums, with long tracks like the opening Romanzen or Aragon showing a very good composition quality. 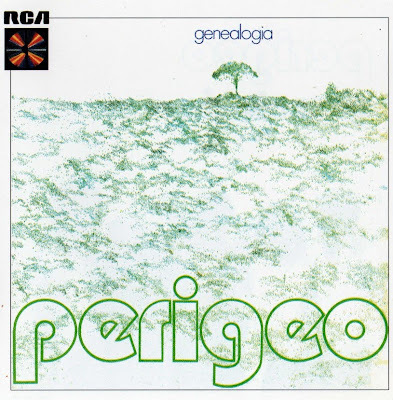 Another nice song was È triste il vento, that had previously been played by another group from Bergamo that had a close connection with Madrugada, Perdio. 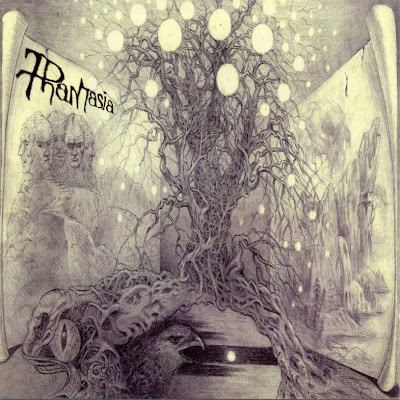 Like in the first album there are some odd different-styled tracks, like the folky Noter de Berghem and the silly Katmandu (that was also released on single with È triste il vento, but with no success), but Incastro can be surely appreciated by progressive music fans. The band split at the end of the 70's, keyboardist Pinto has collaborated with many italian and international artists (Patty Pravo, Roberto Vecchioni, Adriano Pappalardo, Riccrado Fogli, Gianna Nannini, Brian Auger), and in the late 90's with the reformed progressive group Perdio. He still plays now in the piano bar circuit. Bass player Billy Zanelli formed the semi-punk group Judas, with an album on Spaghetti label in 1978, and later played with Roberto Vecchioni. 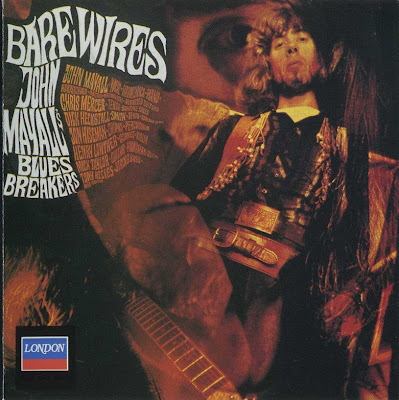 John Mayall was born in Macclesfield, Cheshire, on 29 November 1933. He grew up on American jazz, which his father was heavily into, and learnt to play piano and guitar. At 13, he went to a Junior Art School in Manchester and later advanced onto the city's Regional College of Art. He had his own band, called The Powerhouse Four, which included Peter Ward who was later in The Bluesbreakers. By now, he was in his element, having got himself a job in an art studio attached to an advertising agency. Mayall's next band, Blues Syndicat, was inspired by Alexis Korner's Blues Incorporated. It was a raw R&B band which played mostly at Manchester's Twisted Wheel Club. In 1963, John decided to go down to London, get a day job (which he did as a draughtsman) and then put a band together. By early 1964, Mayall had signed a short-term contract with Decca, having got a semi-permanent band together. Line-up (A) recorded his debut album at an R&B dive, 'Klooks Kleek', in West Hampstead. Mayall had already released his first two 45s; the album contained a couple of cover versions (Night Train and Lucille) but the remaining 11 tracks were all originals. incl. 33min version of "SolarMusic"
When it came to original rock music, Germany posed a unique proposition. 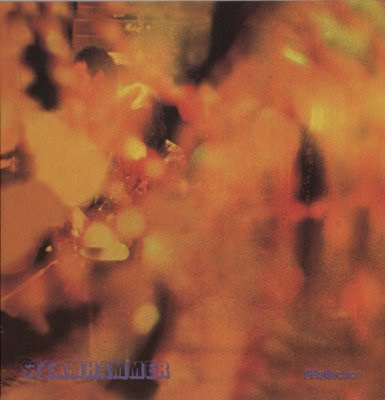 Some bands were off in "kosmische" (cosmic) territory, working under the ubiquitous umbrella of their original head music, Krautrock. On the other hand, Germany was also producing scores of what we refer to as "bad Deep Purple" bands. (Italy had the dubious distinction for bad Jethro Tull bands!) 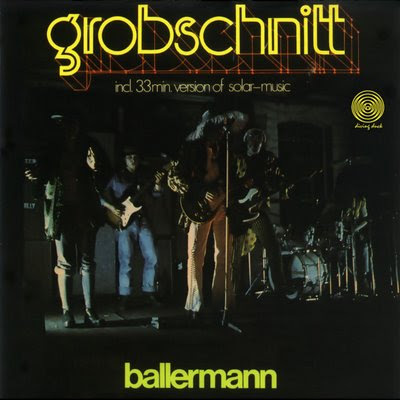 Grobschnitt were one of just a handful of German bands in between, offering their highly original take on Prog rock. 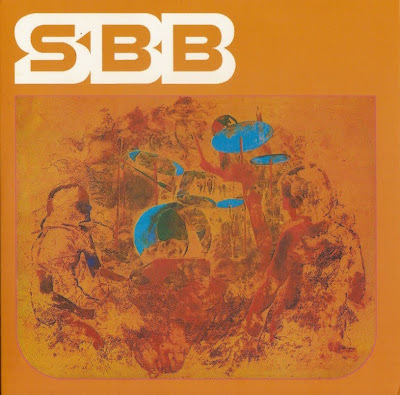 Their debut album was released in early 1972 and was an infectious blend of jazzy jamming and psychedelic weirdness (something we always like). The band was formed by drummer Joachim "Eroc" Ehrig, lead guitarist Gerd-Otto "Lupo" Kuhn, and Stefan "Wildshwein" Daneliak on guitar and vocals. Bassist "Bernhard Uhlemann rounded out the lineup, while Volker "Mist" Kahrs joined on keyboards before their second album, Ballerman. 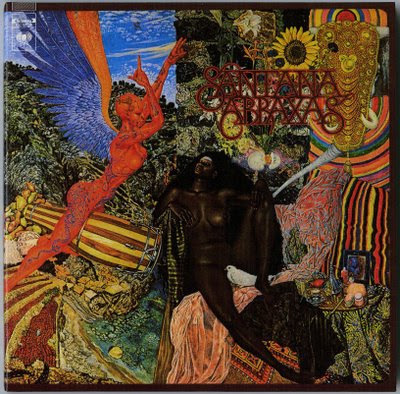 The album opens with "Sahara" but ignore it completely; that lunacy would dominate their next album. "Nickelodeon" then kicks off with a grinding Hammond and trebly bass and one thing is certain: Grobschnitt don’t quite have the arrangement skills of their British counterparts and they’re all the more organic for it. The track has the palette and execution of The Yes Album, and is certainly as spirited and energetic. The second thing that’s immediate is the bane of most German rock groups - English vocals. Either you like Wildschwein’s singing or you hate it and chances are there is little in between. 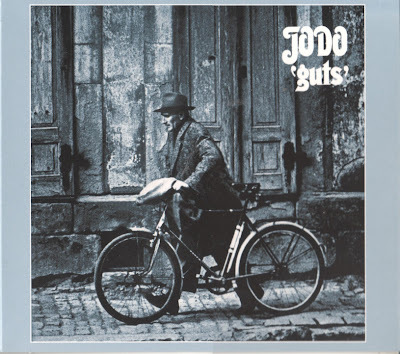 The remainder of the first record was first-rate Prog: both melodic and symphonic, it again has British influence but remains uniquely Grobschnitt. But hold onto your pants, the album’s second side was Grobschnitt’s stunning instrumental achievement "Solar Music Suite". Although the analogy to Pink Floyd is bound to reverberate, Grobschnitt here were just as novel. For nearly thirty minutes they hovered in near stasis, providing a very different take on cosmic music. Wolfgang "Pepe" Jaeger would replace Uhlemann for their next album, the crazy Jumbo. It was so successful that Brain commissioned a German-language version their native market. 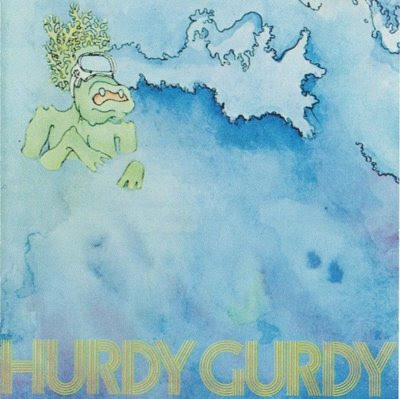 Hurdy Gurdy were a guitar/bass/drums trio from Denmark who released one album in 1971. 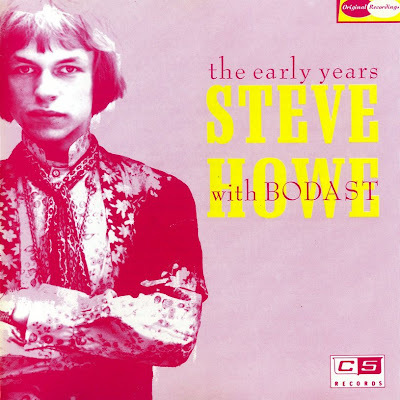 The guitar player was the excellent Claus Bohling before he went on to Burnin' Red Ivanhoe and the excellent Secret Oyster. With English vocals, Hurdy Gurdy recall to mind many early '70s bands such as Humble Pie, Cream, Jimi Hendrix Experience or Jimi's Band of Gypsys and so forth. Fans of the early British scene would probably go a bundle for this. Bohling is an excellent guitar player who can set up quite a jam. One of the eight songs is instrumental while all the others have vocals to varying degrees. There's also a little bit of sitar (with tabla!) for the occasional psychedelic sound and, of course, the standard blues harmonica. Great air guitar material! 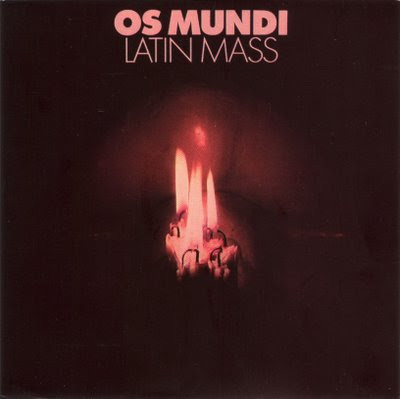 Look here about Os Mundi. This is 1st great lp. Pax is the Latin word for peace. 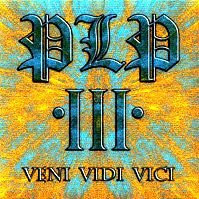 The band were formed by former Los Shains' leader 'Pico' Ego Aguirre. Jaime Moreno was brother of the famous Peruvian pop singer Gustavo 'Hit' Moreno. U.S.A.-born Mark Aguilar was a multi-instrumentalist living in Lima at the time and a friend of Moreno's. Miguel Flores, from Cuzco, was a superb drummer and a charismatic musician. Gerardo Rojas handled vocals on one cut Mr. Skin. Their repertoire was hard rock / heavy metal with vocals in English. 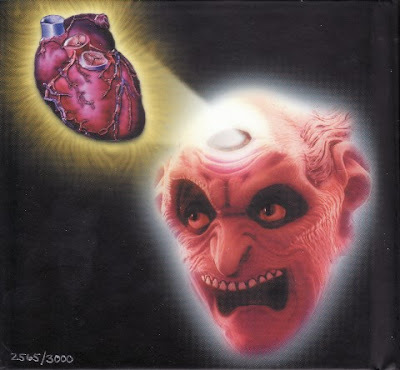 On the Dark Rose compilation there's a great cover of Smoke On The Water and decent versions of Radar Love and Mr. Skin. Their other finest moments including the opening cut Firefly, with some superb guitar moments; Dark Rose, which has a melodramatic introduction and lots of guitar histrionics; Exorcism, with its funky guitar work and gruffer vocals and Sittin' On My Head, which sported another good guitar intro. Along with Tarkus they were the only hard rock / heavy metal orientated group from Peru. The original line-up played from 1970-72, but there were several subsequent line-ups. In 1975 Florian Fricke (leader of the German group Popol Vuh) discovered his Norwegian namesakes and threatened them with a lawsuit. 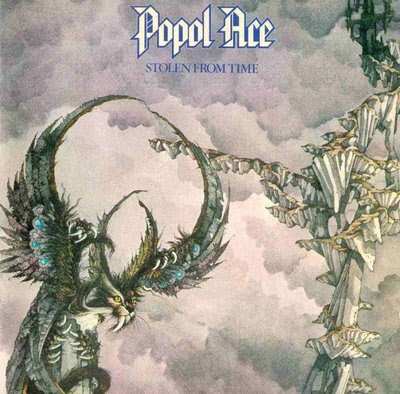 For this reason Popol Vuh changed their name to Popol Ace. 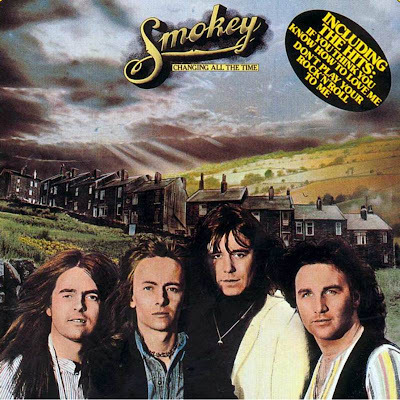 Stolen From Time (1975) was their most ambitious effort benefiting from unusually generous amounts of studio time, provided by a record company dreaming of international success. 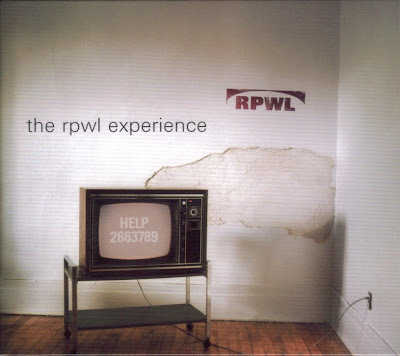 It's one of those albums that was carefully produced, second by second, and which consequently lacked spontaneity. Included were some of their strongest and most mature songs, such as "Bury Me Dead" and "Today Another Day". 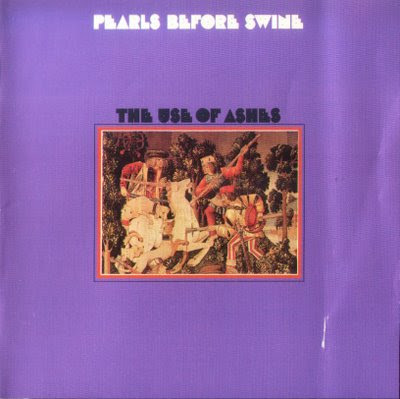 Their overall sound (with more elaborate instrumental passages than before) was influenced by Genesis circa 1972-74. Maybe the rigid production deterred the album from being recognised as a minor masterpiece - today its compositions appear stronger than those on the two preceding albums. 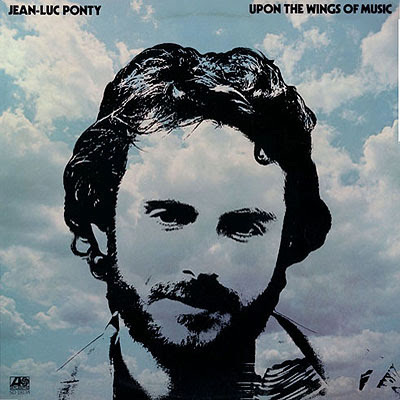 Jahn Teigen then left Popol Ace to start his highly successful solo career, eventually becoming one of the most famous entertainers in Norway. Popol Ace continued with Asbjørn Krogtoft (previously a member of 1-2-6) as their new vocalist. 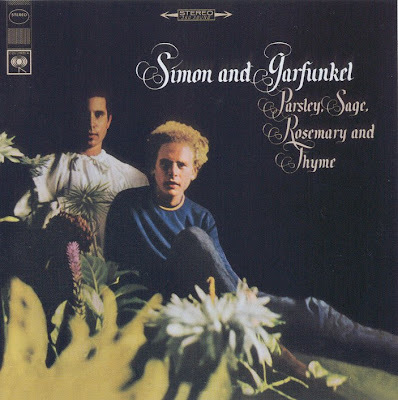 Their final album was a total disaster (commercially and artistically) with seriously uninspired songwriting. From Bay Ridges, Ontario, this band made one of the best and most sought-after albums of the psychedelic era. 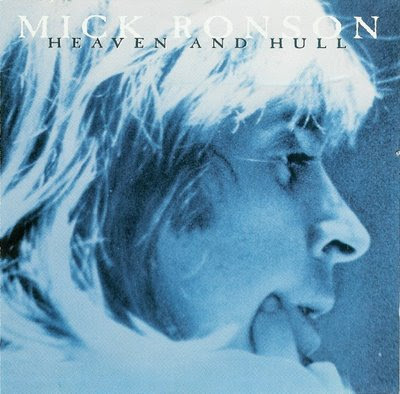 All of the tracks were written by Don Brewer and it's one of the most consistently good Canadian albums of this era. There's lots of fuzz guitar on tracks like Shadows Of Your Mind, Face Behind The Sun and Civilization Machine, whilst Dainty General Rides and Art's A Happy Man are nice soft rock numbers. The pick of the album? The ten minute Eastern-influenced You Don't Care, which is full of lots of lovely fuzz. The album was produced by Jack Boswell and Bill Bessey. This group focused on Tom Rapp, who had apparently once finished ahead of Bob Dylan in a local New York talent contest. 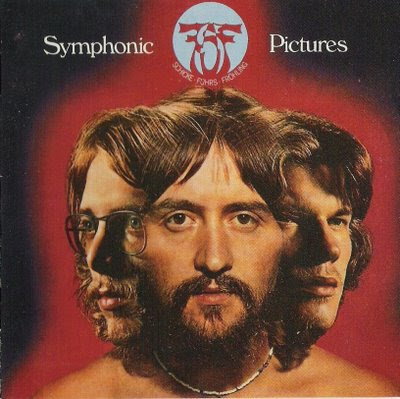 Although the group's original line-up is listed above, after their first two albums it became much more flexible, consisting of whoever Tom Rapp could gather around him in the studio. The group's acid sound seems almost certain to have been drug-inspired and their music was always mystical, innovative and mysterious. 'Where have you been to? Debut album by British rock group, Status Quo. It features a large number of covers, including "Green Tambourine" by The Lemon Pipers. The album's lead single was originally intended to be "Gentleman Joe's Sidewalk Café", with the original Francis Rossi composition "Pictures of Matchstick Men" as the b-side, but these songs were eventually swapped round. It reached #7 in the UK, and remains the band's only major hit single in the US, where it reached #12. It also reached #8 in Canada. 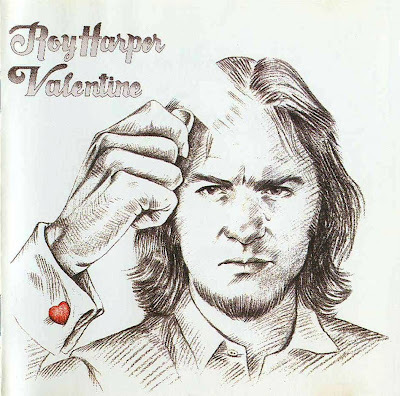 A second single, Rossi's "Black Veils of Melancholy" (with organist Roy Lynes' non-album track "To Be Free" as the b-side), flopped and has even been called "a carbon copy of "Pictures of Matchstick Men"". The third single, "Ice in the Sun", was written for the band by Marty Wilde and Ronnie Scott (not the jazz musician), with the Rossi/Parfitt composition "When My Mind Is Not Live" as the b-side. It reached #8 in the UK, and #29 in Canada. The album itself was released on 27 September 1968, and failed to make the UK album charts. 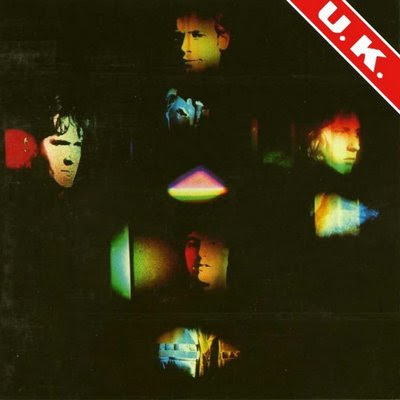 The band planned to release a fourth single from the album - "Technicolour Dreams" backed with the Wilde/Scott composition "Paradise Flat" - but this was withdrawn after a few days in favour of a non-album single release early the following year. The new single, Rossi and Parfitt's "Make Me Stay a Bit Longer", with bassist Alan Lancaster's "Auntie Nellie" as the b-side, was released on 31 January 1969. 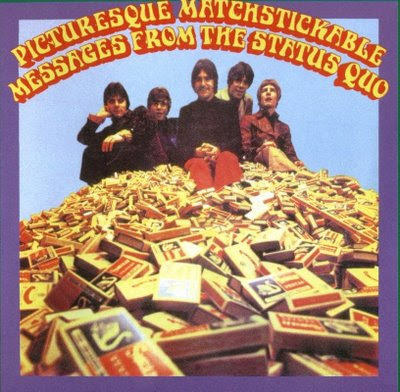 As well as getting the "thumbs up" from a majority of the record reviewers, this single was also something of a landmark for the group, as it would be their final release to credit them as "the" Status Quo. The Strawberry Hill Boys were a bluegrass trio founded by Dave Cousins, Tony Hooper and Ron Chesterman in 1967. Sandy Denny had a brief tenure in the band, recording one unreleased album before she quit to join Fairport Convention. In 1969 they shortened their name and landed a recording contract with A&M. The Strawbs recorded two early albums with production heavyweights Gus Dudgeon and Tony Visconti respectively. In 1970, Chesterman left and Cousins and Hooper added the rhythm section of John Ford and Richard Hudson. Session-keyboard wiz Rick Wakeman, recently extricated from the Royal Academy of Music, was next to join. His debut, Just A Collection of Antiques and Curios, was recorded live at London’s Queen Elizabeth Hall, however his role was really as soloist. The album managed to chart in the UK. Producer Visconti urged more electric influence to Cousin’s songwriting and the resulting From The Witchwood, though still reflecting the band’s folk roots, put the band again in the UK Top 40. By the time of Grave New World, Blue Weaver had replaced Wakeman. More importantly Cousins’ songwriting had gone Progressive, best demonstrated here in "Tomorrow" and "New World". The album ranges from the acoustic of "On Going Older" to the more eclectic rock of "Queen of Dreams". Cousins, too is a unique vocalist, his raspy voice not unlike Peter Gabriel. The album would become the bands best selling to date, reaching No. 11 in the UK. However, boosted by the single "Part Of The Union" at year’s end, their next album, Bursting At The Seams, proved to be their commercial peak. Hooper parted ways as the band drifted farther from their folk roots, with guitarist Dave Lambert replacing him. Cousins took the remainder of the year off to record a solo album, Two Weeks Last Summer. 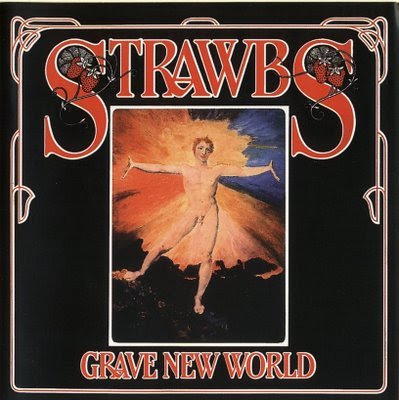 The Strawbs would continue with varying success until their demise in 1978. Hailing from Champaign-Urbana in Illinois, Starcastle were another rare US Prog band that achieved some recognition in the mid-seventies. After trudging the bar circuits under various names, the core of guitarist Steve Hagler, drummer Steve Tassler, keyboard player Herb Schildt, and bassist Gary Strater were joined by second guitarist Matthew Steward and vocalist Terry Luttrell, previously in another Champaign band, REO Speedwagon. 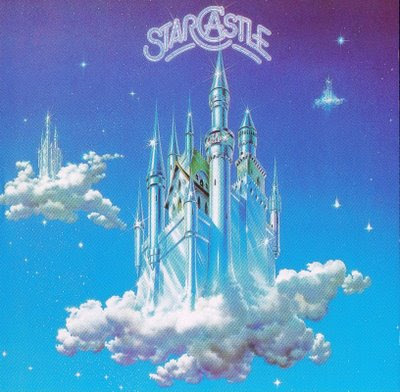 In 1974, they changed their name to Starcastle and signed to Epic records. To say that British Prog bands influenced them was, of course, a huge understatement. "Lady of The Lake" revealed an easy-going Yes approach, with an emphasis on the vocal harmonies. 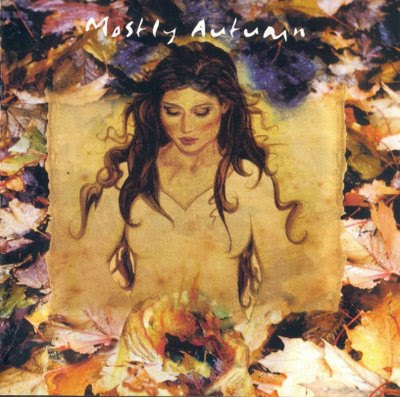 "Elliptical Seasons" had a little more Midwest grit to it, while "Stargate" went symphonic. But if two things stuck out immediately about their music, it would be Luttrell’s voice and lyrics. Luttrell had a high tenor that unfortunately lacked any visceral punch, most evident on "Sunfield". And while Anderson’s lyrics were more concerned with cadence, Starcastle unfortunately seemed like high school poetry. Musically, the band was every playful, with rich arrangements that made the best of their big sound, as on "To The Fire Wind". Although the Yes "clone" analogy ran tired, their accessible approach probably owed as much to another Illinios band, Styx. The album was received well enough and Starcastle opened for some of their Prog big brethren, including Jethro Tull and Rush on their subsequent tours. Suitably impressed, Epic sent the band off to Montreal with Queen producer Roy Thomas Baker to record their next album. 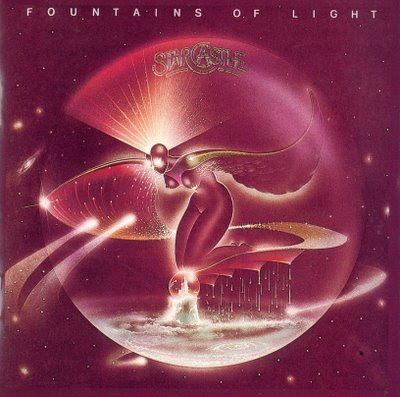 The combination was uneasy, but there’s little argument that Fountains of Light, released in early 1977, would be their definitive statement. A third album, also produced by Baker was released later the same year, but with the emphasis toward a "hit", it was more of same old stuff. A final album Real to Reel appeared in 1978, but the band was subsequently dropped. Rehearsals began with a new singer after Luttrell’s departure, but without label interest the band folded in 1980. Oddly enough, the Drama-era Yes would take a cue from Starcastle! 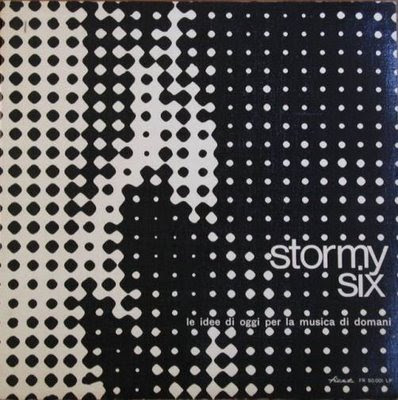 Not many progressive music collectors are aware that Stormy Six released some very interesting and original works in that style, the group having long been associated with the left-wing political and protest songs of their first albums. 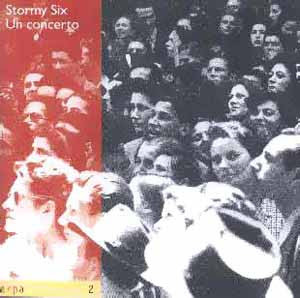 Stormy Six began as a beat band in the 60's in Milan, and they even supported the Rolling Stones during their first italian tour. 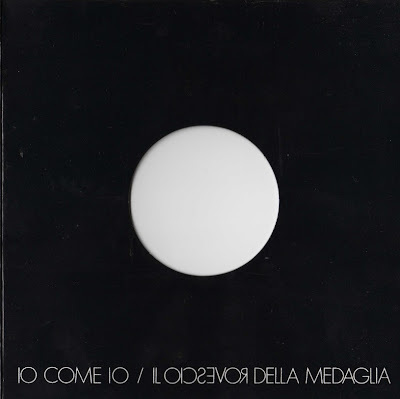 Their first album, named Le idee di oggi per la musica di domani by their record company, is a good example of the genre, with even some light psych influences like in the instrumental Schalplattengesellschaft mbh, bass player Claudio Rocchi being the most interested in psychedelia. He was in fact the first to leave the band to pursue a solo career. Second album L'unità saw the group reduced to a quartet, with bassist Massimo Villa replacing Rocchi, and keyboardist Martinetti leaving during the recording sessions, though he appeared on some tracks only. 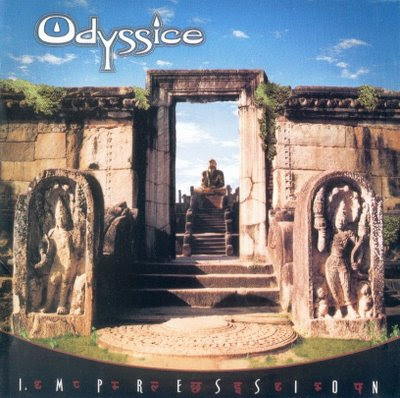 The sound was now strongly inspired by the then popular West-Coast style, yet it contained some rock-inspired moments like in the long Suite per F & F with good instrumental parts by Ricky Belloni (then with Il Pacco and later in Nuova Idea) and sax player Claudio Fasoli from Perigeo. In the third album, Guarda giù dalla pianura, dealing more strongly with protest songs, the Woody Guthrie influence was evident in the cover versions' choice, and the band was now a constant presence in left-wing movements concerts and festivals. Siddhartha, named after a novel by Hermann Hesse, were formed in 1973 in Korntal near Stuttgart. They performed an intelligent mixture of progressive and art rock influenced by psychedelia and folk. Although their 1975 album is called "Weltschmerz” all songs contain English lyrics except for "Weit weg”. It was released in a limited edition of 400 copies and is now one of the most soughtafter collectors’ items. 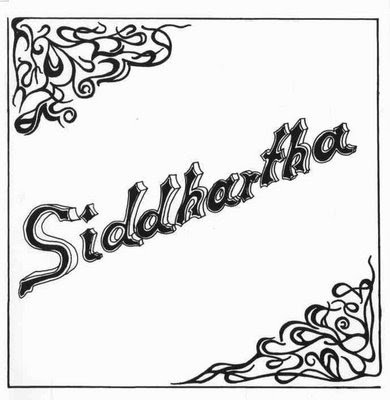 A thirty minute demo tape by Siddhartha which was recorded after the release of their album has disappeared and has not yet been found.his series.